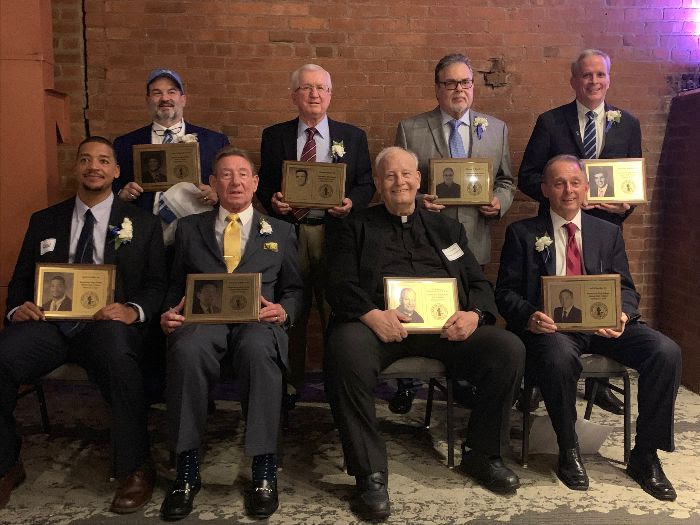 The Hall of Honors (HOH) recognizes alumni and/or teachers who exemplify the ideals of Benedictine High School in making contributions to the school, to their profession, to the Church, or to the community. The inductees were: Fr. Dominic Mondzelewski, O.S.B. ’60 and Jamie Georgeson ’78. The Hall of Fame (HOF) pays tribute to graduates, coaches, and administrators for their accomplishments in the field of sports at Benedictine High School and/or after graduation, while reflecting the ideals of Benedictine in striving for that success. 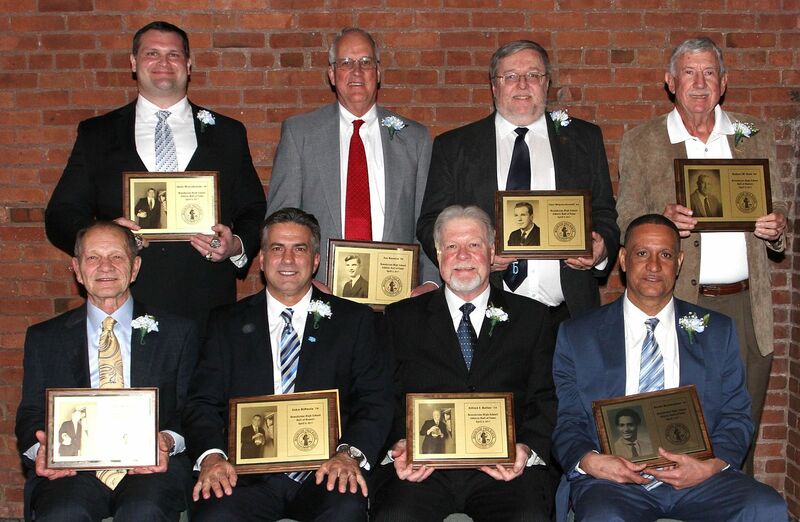 The inductees were: Frank Janoch ’56, Jeff Chorba ’63, Gary Barnes ’69, Wayne Bacik ’70, Brendan Walton ’84 and Kevin Coffey ’96.